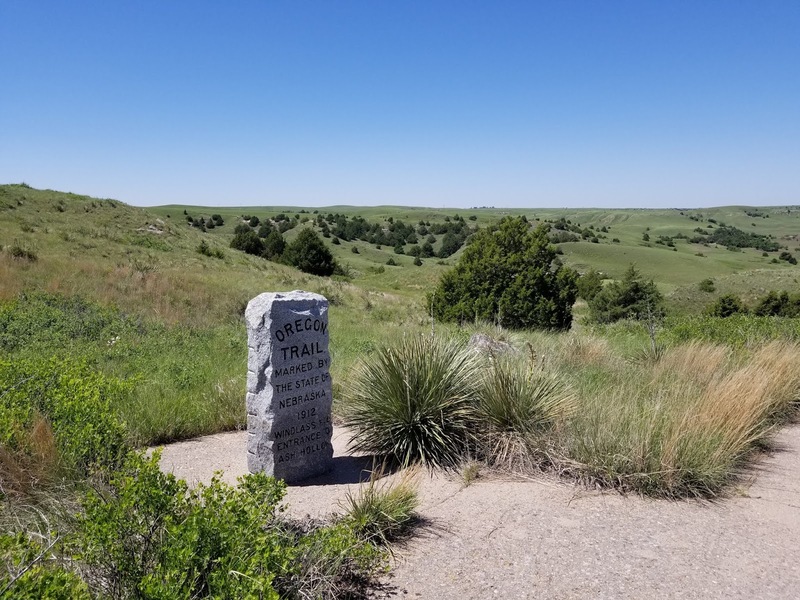 Not much of the old historic trails across the western states still exist in their original form but there is a place in western Nebraska where you can get fairly close. 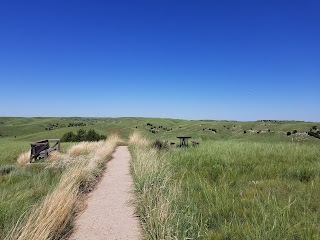 This morning I spent some time exploring the Western Historic Trails Center in Council Bluffs, Iowa during my drive from Chicago to Colorado. 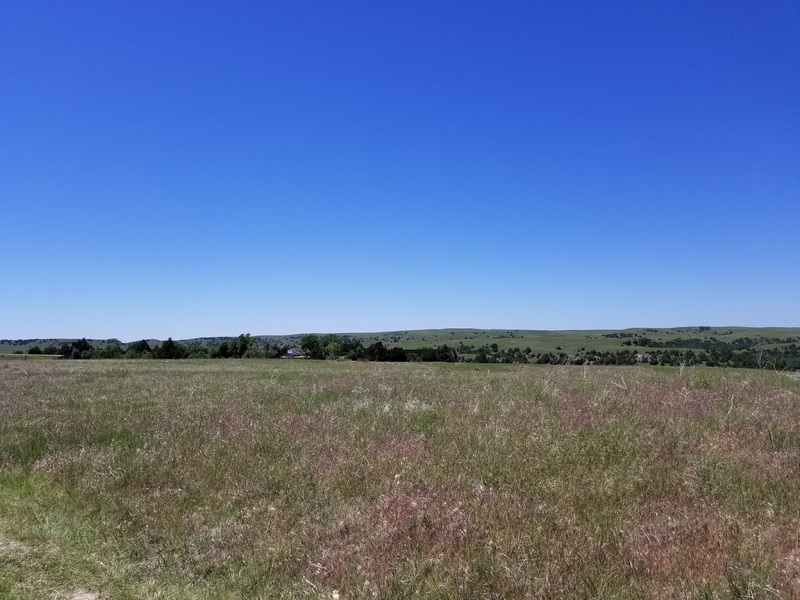 I wanted an afternoon adventure to supplement that exploration. 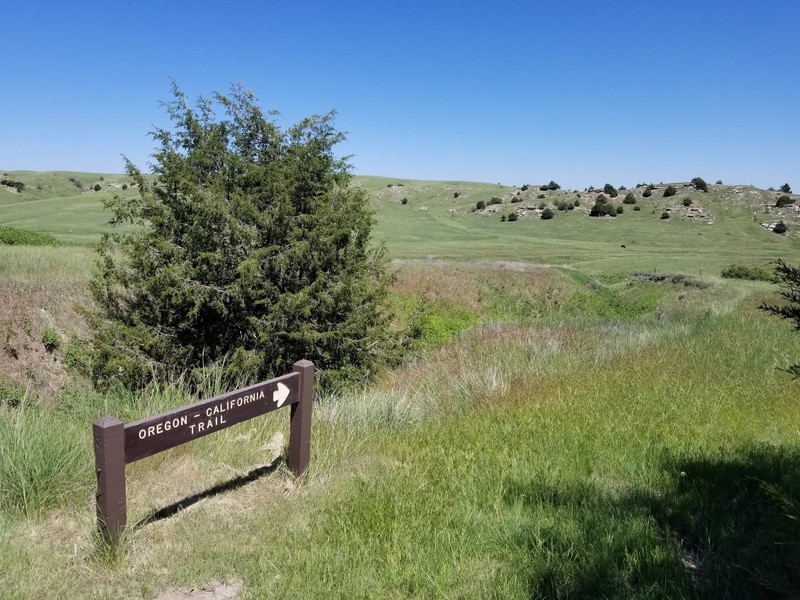 To be able to run/hike on a portion of the old Oregon Trail would be a great thing to do. 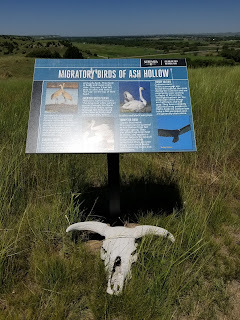 I found Ash Hollow which was only a 25-30 minute drive off of I80 near Ogallala. Ash Hollow was a popular site along the old Oregon Trail as it provided water, shade and food. 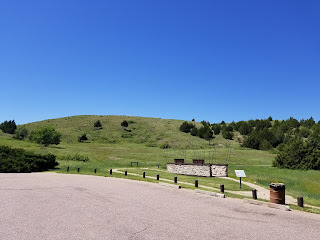 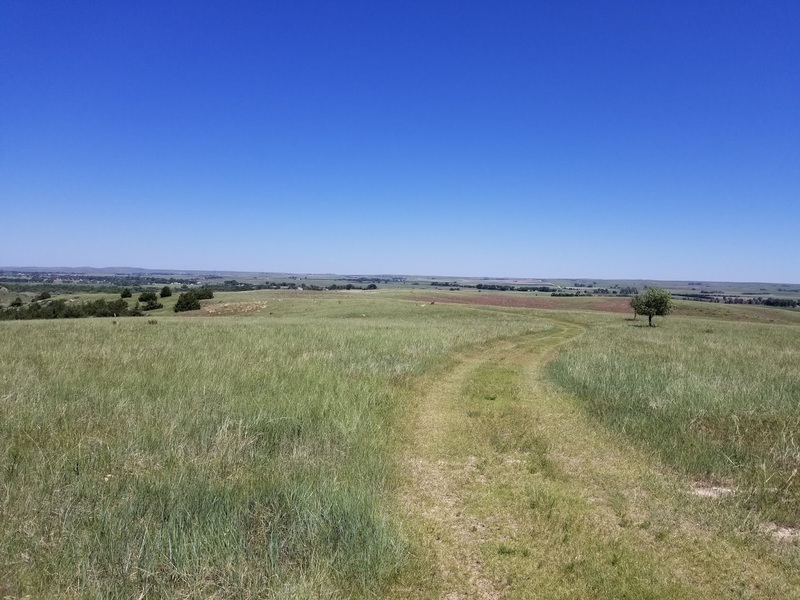 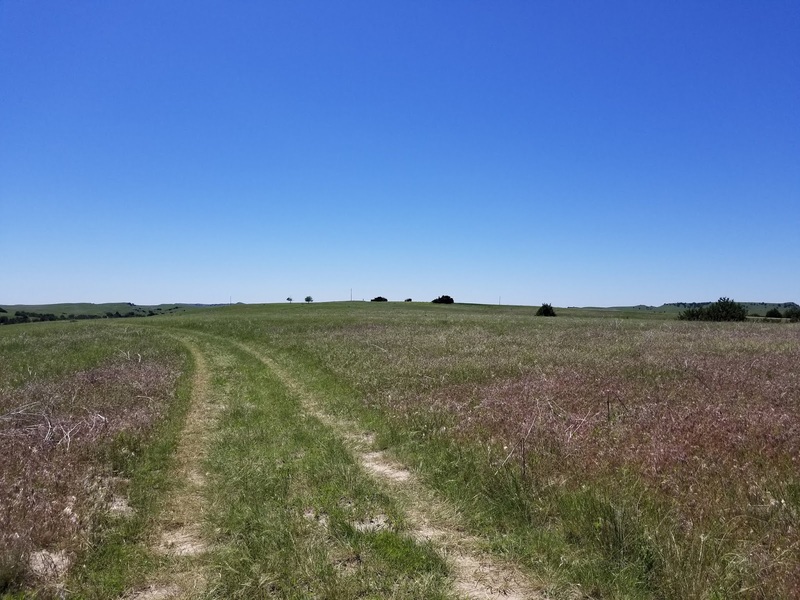 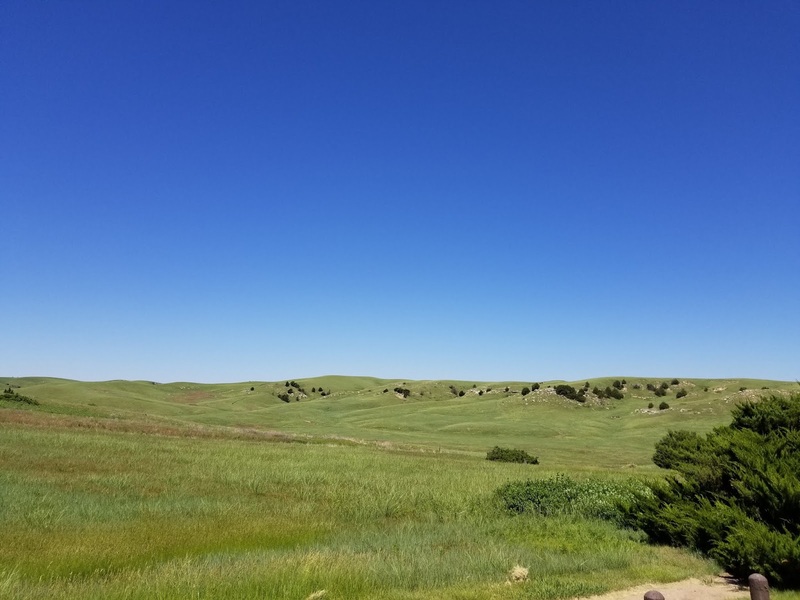 This area is well know for what is called Windlass Hill where the wagon trains would leave the high table lands from the south and descend into Ash Hollow and the North Platte River Valley. The slope offered great challenges to the wagon drivers and many left reports of having used ropes to help the wagons descend. 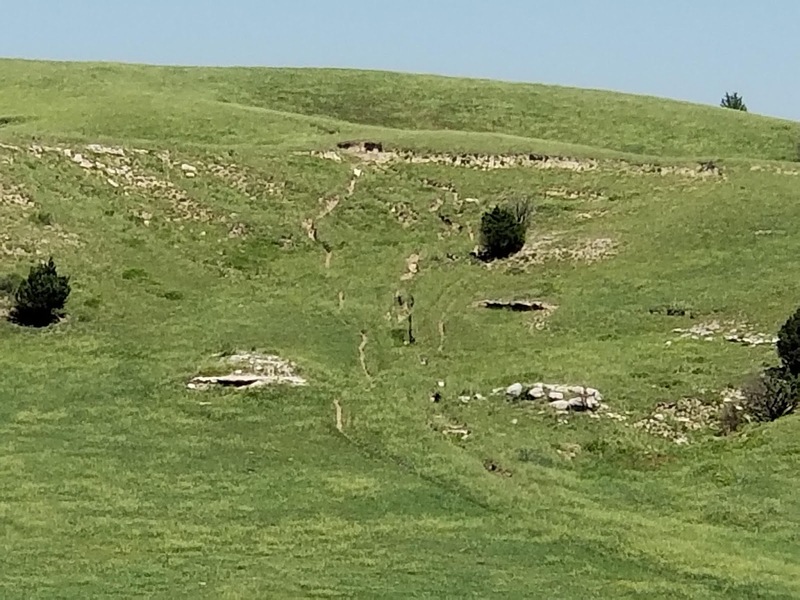 At Windlass Hill some say you can still see the wagon ruts which erosion has permanently dug into the hillside. 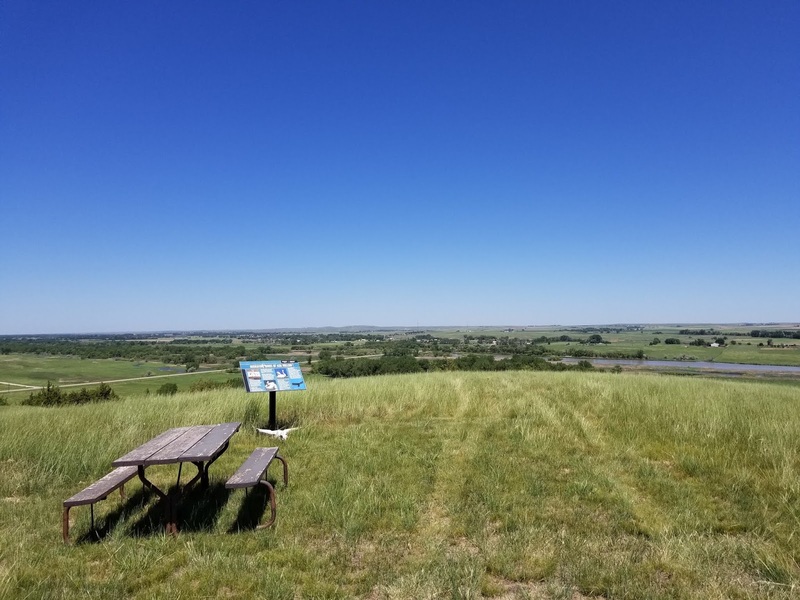 When I arrived at this site I followed the paved and very steep trail up to the hill top where the views of the prairie land were fantastic. There are a few signs and an Oregon Trail marker on the hill top. 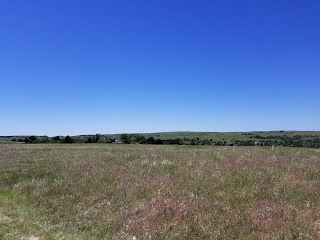 To look out over the plains from that hill was an amazing sight to see. 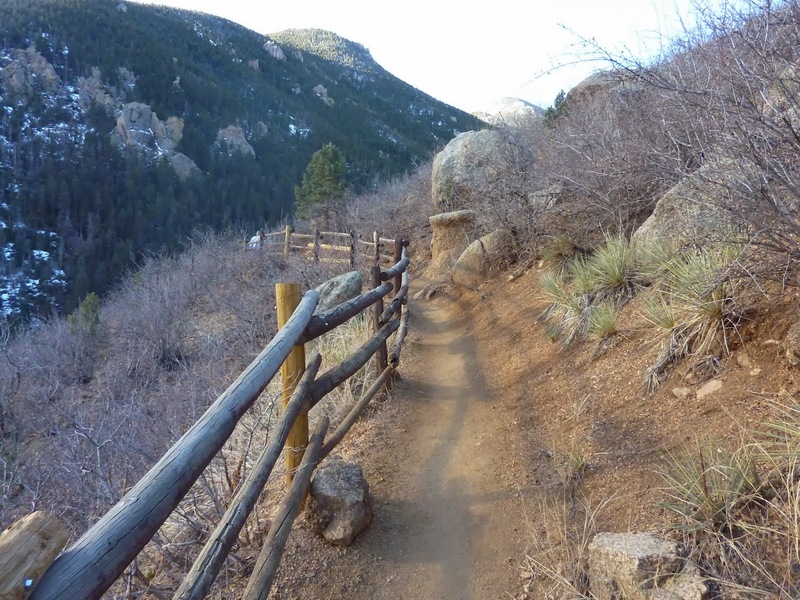 The trail was short and all paved, but very steep for a short section. 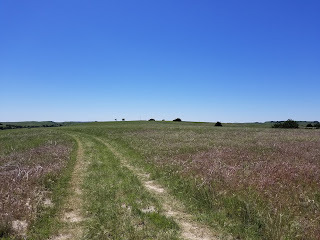 There were a few unpaved trails heading off into the grasses should one like to add to their exploration. After a hike on Windlass Hill I drove down to the main park area of Ash Hollow. 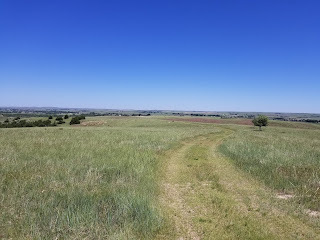 There are a number of marked trails at the park and I simply chose one for a quick exploration. 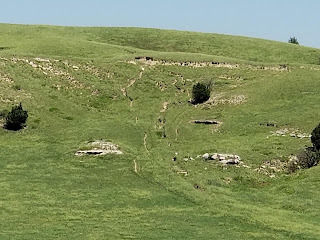 I trail-ran along the Medicine Wheel trail which begins from a small parking area along the park road and follows a ridge line keeping great views the whole way. 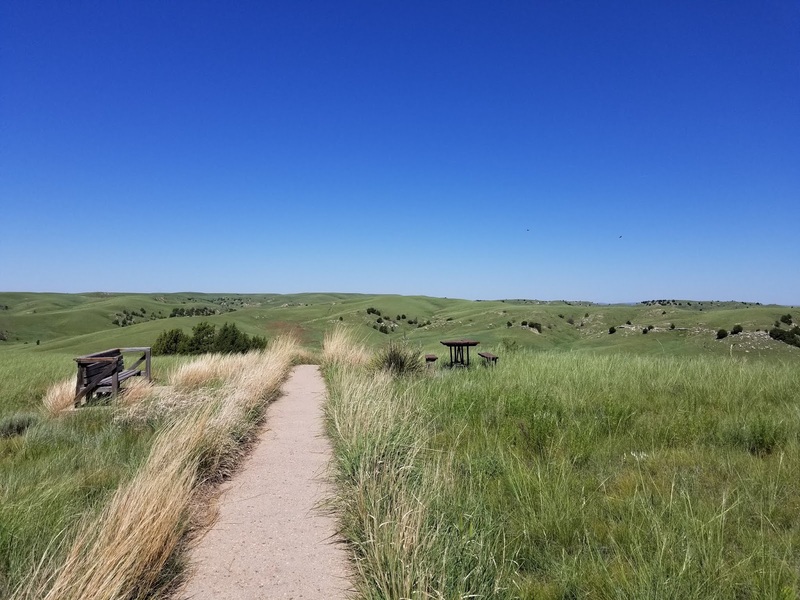 the trail is basically a double track mowed into the prairie grasses out to a picnic area. 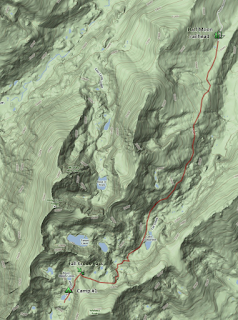 It descends every so slightly along the way. 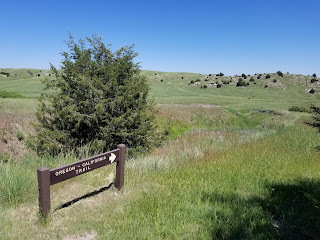 Ash Hollow as popular for the emigrants travelling west along the Oregon Trail as it was a much needed water stop after days of baking in the hot Nebraska sun. 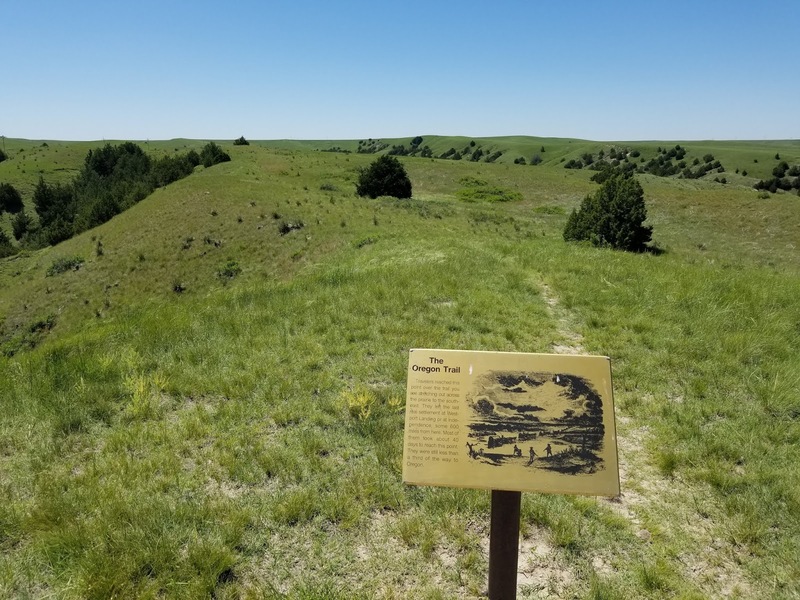 It marked the entryway from the higher tablelands down into the North Platte River valley with much needed water and vegetation. 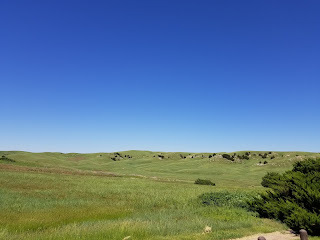 There is also a small cave here at Ash Hollow but I didn't have time to explore it further. Signage explaining the "Migratory Birds of Ash Hollow"